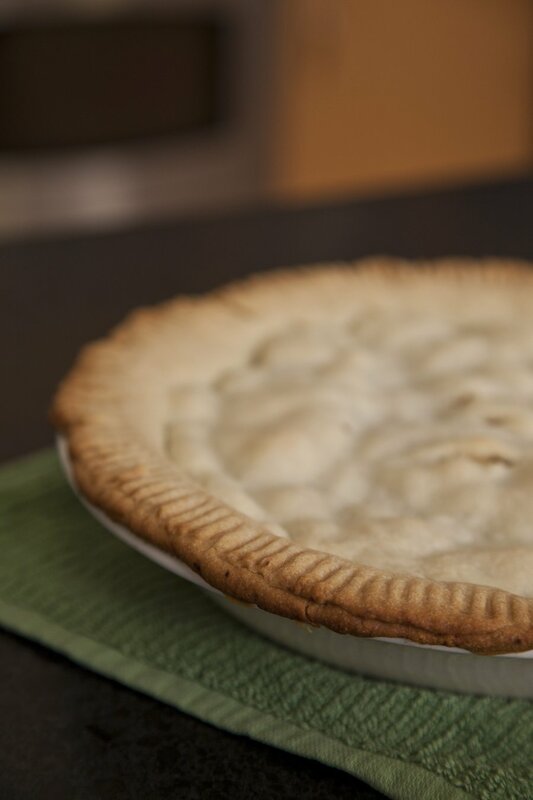 You don't need to wait til Thanksgiving to bake an Apple Pie! Especially with this recipe..... I have found this dough to be one of my favorite flavors ever. 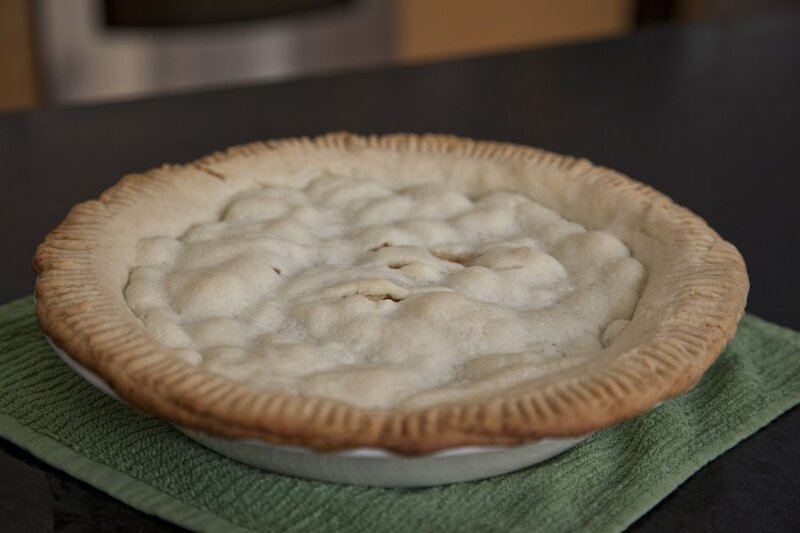 I use it also when I make Chicken Pot Pie - the combo of flavors is the perfect dough for any pie! The perfect pie dough for savory or sweet! In a food processor, mix together your flour, salt and sugar. Then add in your butter and mix, while the mixer is on, one tablespoon at a time, add your water until the dough starts to form (it usually takes only 6 tablespoons to get the correct consistency). Place dough on a rolling sheet; divide into two equal halves, and let sit for a few minutes. Meanwhile….make your filling…. In a bowl, mix together all ingredients thoroughly. With your dough, take one of the halves and roll it out into a circle to form your bottom crust. 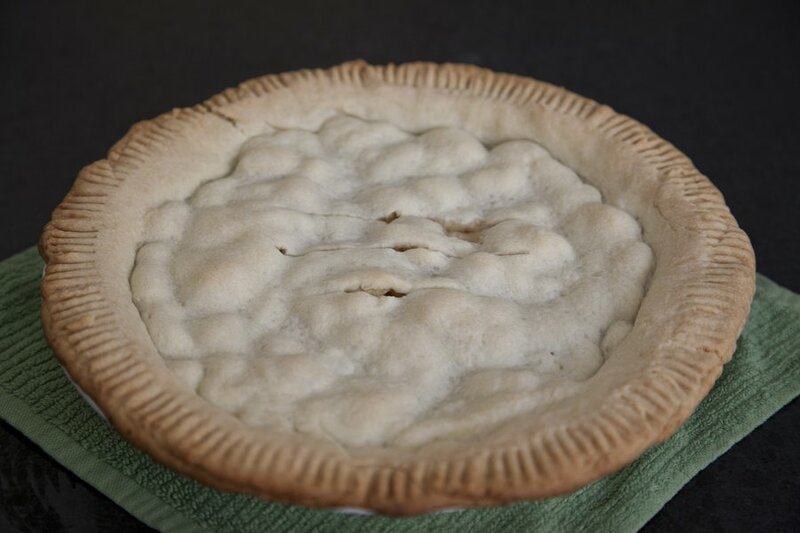 In a pie dish, lay down your bottom layer of crust. To that, add in your entire filling, then roll out the second piece of dough and place that on top of the pie. Crimp the edged of the pie with a fork to achieve a nice texture around the circumference of the pie. 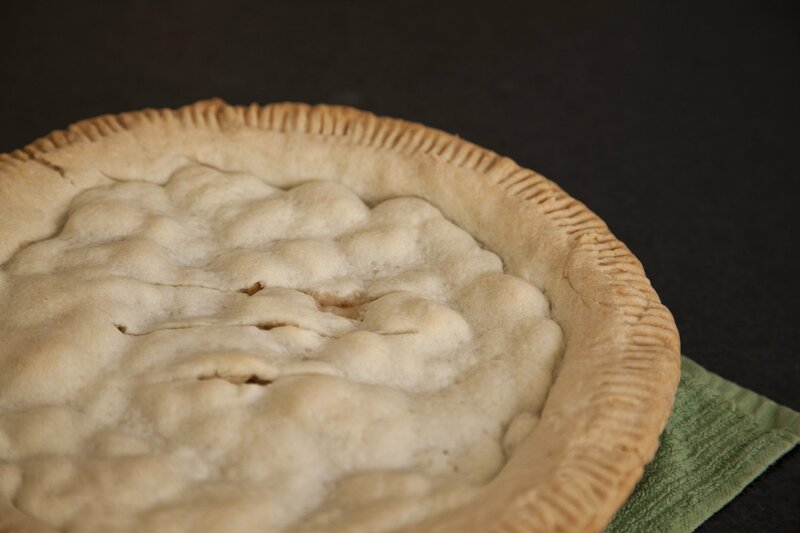 Cut 3 slits into the top of the pie with a knife to allow aeration while cooking. In a 450 degree preheated oven cook your pie for 10 minutes, then lower the heat to 350 degrees and cook for another 30 minutes. 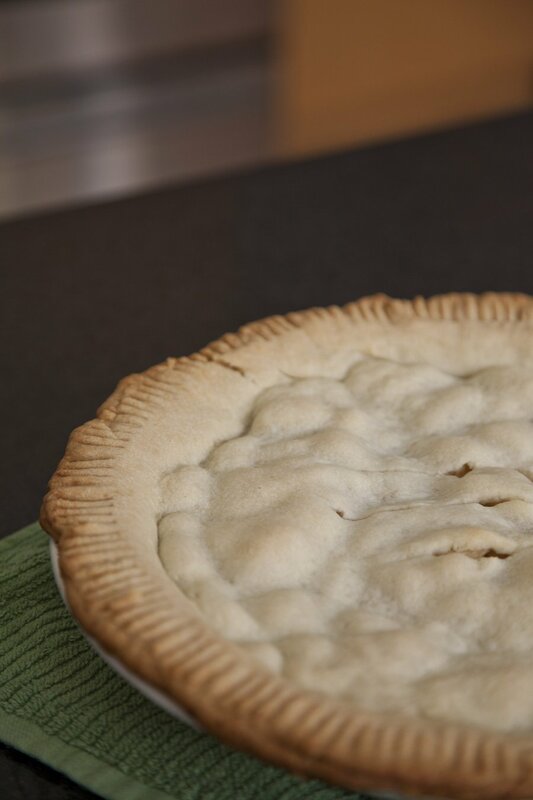 Allow cooling before serving – serve with Vanilla Ice Cream or Whipped Cream!